Every time I try to open the gadget, I get this message and then it closes and nothing happens. Windows 8 and 10 don't have built-in Gadget support anymore. 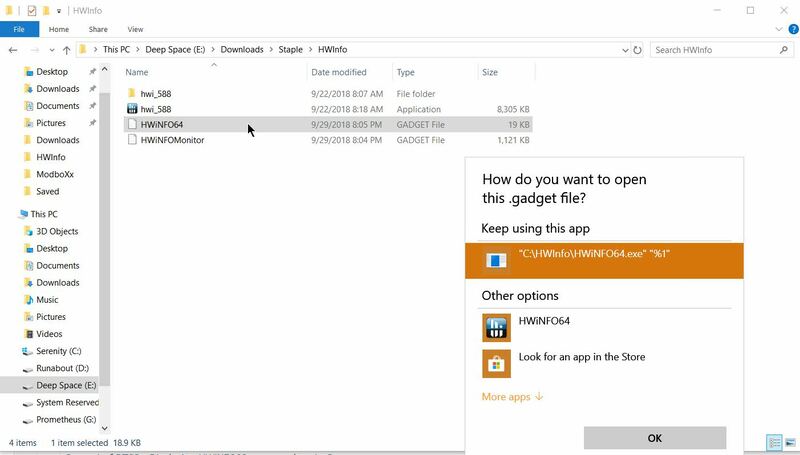 You will have to use some 3rd party Gadget extensions, or the HWiNFOMonitor, which is much more advanced. Current time: 04-20-2019, 10:00 PM Powered By MyBB, © 2002-2019 MyBB Group.